New research suggests that there is an ideal sleep duration for postmenopausal women, and deviating from it can mean bad news for bone health. A study recently published in the Journal of Bone and Mineral Research found that women between 50 and 79 years old are more likely to experience recurrent falls and bone fractures if they aren’t getting proper sleep. 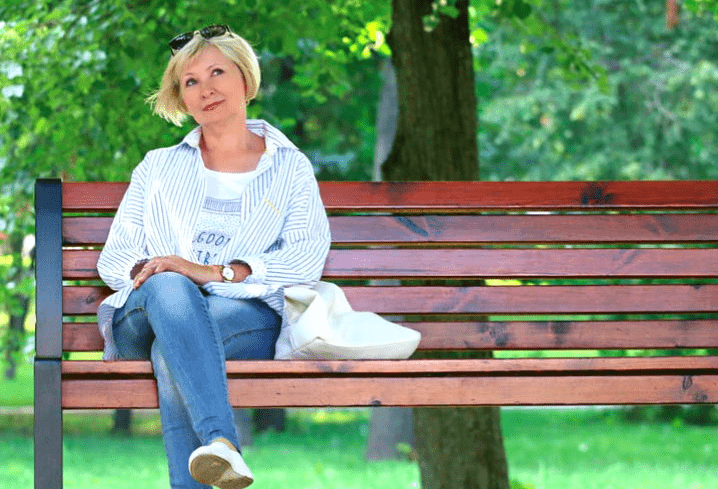 This study (and all its test participants) is part of a long-term national study known as the Women’s Health Initiative, which focuses on the collective wellness of postmenopausal women. The study was led by Dr. Jane Cauley at the University of Pittsburgh, and involved 157,306 female subjects across the country. Over a period of seven years, each woman was asked to submit an annual “self-report” detailing their nightly sleep logs, as well as any times they fell down, or endured a bone fracture. Note: The information on Sleepopolis is meant to be informative in nature and is not written by medical experts. Please consult a healthcare professional if you experience any sleep disorders that may be linked to a medical condition. After examining all participants’ reports, it was determined that those who slept fewer than six hours, or more than 10 hours per night, were about 25% more likely to suffer recurrent falls than those who got 7-8 hours of sleep. Essentially, both sleep deprivation and getting too much sleep proved to cause cognitive impairment that led to more falls and fractures. To learn more about these findings, I reached out to Dr. Jane Cauley, but she declined to comment. However, Cauley did cite accidental falls as the leading cause of fractures in women over 50, and asserted that this new research is a stark reminder that cognitive impairment caused by inadequate sleep can be harmful in a variety of ways. SO, WHAT ELSE CAN POOR SLEEP DO? The subjects’ self-reports were assessed using the WHI Insomnia Rating Scale, which included questions about overall sleep quality, as well as specific sleep disturbances. While the women who reported more falls and fractures were also found to be more prone to bouts of insomnia, poor bone health proved to be just one of the symptoms of improper sleep. The WHI study also found that those who experienced frequent sleep interruptions or insomnia were also linked to higher rates of depression, type 2 diabetes, cancer, and a general increased risk of mortality. While these risks do tend to increase with age, poor sleep hygiene has proven to be detrimental to cardiovascular health in adolescents as well. Lately, it seems sleep research reveals new cautionary studies every week — but things aren’t as grim as they may sound. Experts agree that curating healthy bedtime habits can greatly improve your emotional and physical well-being, and it’s never too late to start. Keeping a personal sleep diary, getting regular exercise, and sleeping on the right mattress are all ways you can enhance the quality of your slumber.